There are many of these shrimp truck restaurants, each with just about the same menu and similar prices, but with their own unique secret recipes and sauces. If you love shrimp, you'll definitely want to make a strategic shrimp stop when you drive around the island. Kahuku is a very small town, located on the North Shore of Oahu, just a short drive from the famous Sunset Beach (also pretty close to Laie where you'll find Hukilau Cafe). Though there are some amazing beaches to the east and west, the town itself is not known for its beaches. Rather, when anyone from Hawaii hears the name Kahuku, likely an image of shrimp comes to mind. The area around the sleepy town of Kahuku is famous on Oahu for being home to many freshwater shrimp farms. In recent times, due to high costs of land, shrimp farms haven't done as well as they did in the past, but the fame of shrimp in Kahuku still remains. Having little more to offer than a bunch of freshwater shrimp farms and the main highway (Kamehameha highway) which leads along the coastline and goes straight through town, someone had the great idea to open a restaurant where shrimp lovers could stop on the side of the road to enjoy some of the wonderful fresh shrimp. 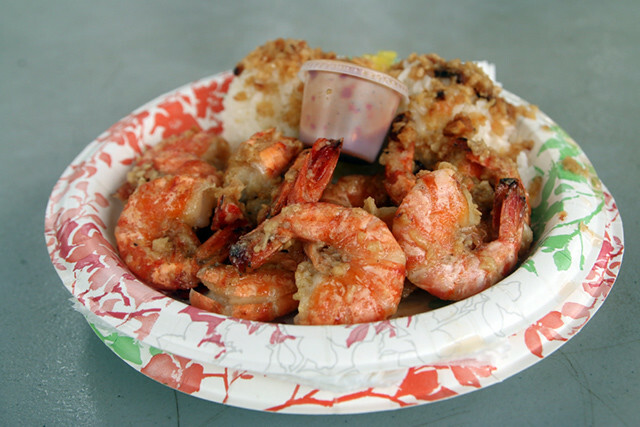 In 1993, Giovanni's opened as the first shrimp truck restaurant in Kahuku. It didn't take long for the brilliant idea to catch on, and soon other shrimp trucks began to open as well. 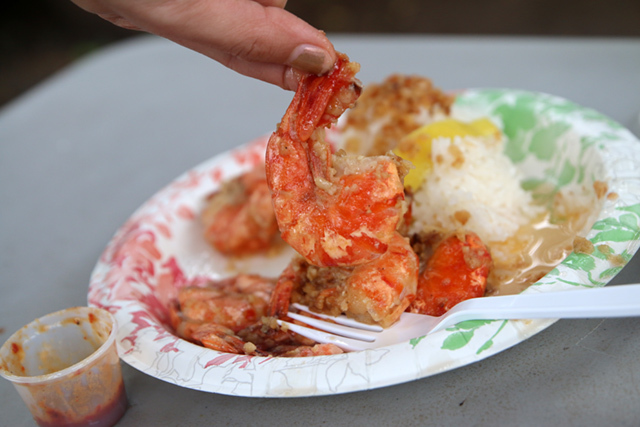 Nowadays, there are many different shrimp trucks to choose from, and while Kahuku is still the most famous town, you'll find shrimp restaurants all the way from Kahuku to Haleiwa, stretching the entire North Shore. Most of the shrimp trucks in Hawaii are quite similar in style. You go up to the truck, place your order in the window, and within a few minutes you'll have a scrumptious looking plate of shrimp ready to be devoured. All the cooking is done inside the truck, and there's usually a few or more benches and tables so you can eat right then and there. The last time I was in Hawaii, I chose to eat at Giovanni's in Haleiwa, the second branch of the well-known original. At the peak of lunch, many of the famous shrimp trucks can get extremely busy, with long lines of customers, and all the tables packed. To avoid the traffic, I personally decided to go early, arriving just as they opened at 10 am. The menu at Giovanni's is quite simple. You have a choice of shrimp scampi, hot and spicy shrimp, or lemon butter shrimp. There's also a garlic hot dog on their menu, but really, if you don't love shrimp you shouldn't eat at a shrimp truck in the first place. I decided to go for the shrimp scampi, a dozen shrimp sautéed in olive oil and garlic, and seasoned with little more than a hint of salt and lemon juice. My plate also came with two scoops of rice, and a side of hot sauce, which I requested. The immediate aroma of garlic was incredible, and you could just see the layer of minced garlic caked onto each shrimp. The shrimp was incredibly garlicky, and fried until cooked through but not rubbery. They were a little bit on the oily side, but still really good. Giovanni's is just one of the numerous shrimp trucks on the North Shore of Oahu. 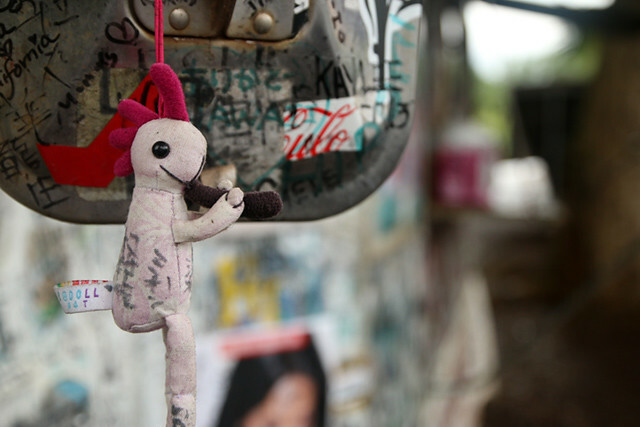 Each truck has their own recipes, and their own set of devout followers. No matter which truck you choose, if you're a shrimp lover, you're in for a real treat on the North Shore. Good write-up. I personally like Romy’s Shrimp Shack. They cook out of a small building and have a decent place to eat your carry-out shrimp under a covered eating area fronting the shrimp ponds! I love a food truck, and one that serves garlicy shrimp? Seriously, what could be better? I should not have read this while hungry. Those shrimp look positively amazing!